← The first three Questions and Answers…. Hi Anne, what impact do you think the eclipses that have taken place recently have on an individual and global basis? Thanks, Frances. Hi Frances, since I am aware that many of our prospective readers may know very little (yet! keep following and you soon will!) 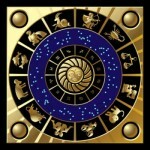 about astrology, this reply contains a few links through which those readers can gain an introduction to what the the Nodal Axis is, and what its attendant twice-yearly season of eclipses means. For readers who need to be brought up to speed regarding those basics, check out Wikipedia on The Lunar Nodes for the astronomy,and Cafe Astrology for a typical explanation of the Nodes’ symbolic meanings. Jim Sher at Sher Astrology writes of The Spring Eclipses 2013. “My view of eclipses is that they change the momentum of things and demand a change be made in some area of our life, whether we like it or not. In other words, they change the inertia of our lives. When there are three back-to-back eclipses, the cycle of changes lasts much longer and the shifts that occur can be deeper and more extensive. This becomes especially true if the location of these eclipses affects our personal chart.” To read more, click HERE. The North Node regresses through the horoscope, taking 18-19 years to complete the full cycle, remaining in each sign – and house, depending on the house system used – for eighteen months. As it moves, pulling the eclipses along with it, the overall territory up for change is identified via the houses occupied. My conclusion (from my research study “The Moon’s Nodes in Action”) is that the transiting eclipses function as“battery chargers”, gradually building up the energies of the person’s life in preparation to receive major change. And – Mary Plumb of the excellent Mountain Astrologer blog provides her own personal take on the recent eclipses HERE. This entry was posted in Eclipses (7 articles) and tagged Astrological sign, Creative Commons, Eclipse, Lunar node, Moon, Scotland, Taurus, Wikipedia. Bookmark the permalink. Anne I’ve just been reading through your extremely interesting ‘Scottish’ articles and see that there’s the possibility of a second Scottish Referendum being held in the very near future. This doesn’t surprise me taking into account Brexit of course but more than anything the fact that the Vows that were made to the Scots in 2014 were broken thereafter. Not only did the Scottish Government not get full fiscal autonomy following the Westminster Scotland Bill debate, Holyrood was left with control of a meagre 20% of power over welfare and 15% power over economic levers. Westminster still controls an approximate 80% power over these areas alone with 100% control over for example Defence, Immigration and all Foreign affairs which totally limits the SG’s ability to do anything constructive at all with the Scottish economy. Although the Pluto square Uranus seems to be passing to some extent there seems to be a great deal of activity taking place in the 1005 chart (progressed and solar arc). I see (if I’ve got it right!?) that the progressed MC is conjunct the Natal North Node right now with the progressed Ascendant due to trine it fairly soon. Transits to the progressed chart seem to show T Pluto conjunct PSun, T Saturn and Jupiter trine the North Node and T Uranus sextile P Venus and Ceres. T Chiron is also hovering over P Jupiter. The Solar Arc chart shows the Sun at 15:58 Capricorn (T Pluto impacting on), the South Node 20 Aries (T Uranus impacting on), SA Lilith trine Vertex (exact), SA Jupiter trine N Node, SA Uranus 2 Capricorn square Mercury 3 Aries trine Moon 3 Virgo and SA Neptune square North Node exact. Now I scribbled these ‘aspects’ down on a notepad and I’m sending this from my IPad so can’t go back to double check! Hope I’ve got it right! Anyway I know you’re very busy Anne but wonder if you can find the time to shed some light on what’s going on with the 1005 chart currently. I can see the ‘aspects’ but can’t interpret them at all especially as I’ve found that what seems to be positive or challenging isn’t always the case. There seems to be a lot of activity going on with the Nodes and with ‘explosive’ type planets such as Pluto and Uranus. T Uranus conjunct the South Node is intriguing and, more than anything, I wonder what that relates to? Anyway Anne I hope you do find the time to respond to my post. I’d really appreciate it especially as there seems to be a dearth of information about Scotland, astrologically, online. Meanwhile best wishes to you and keep up the good work. thanks for your interest, which is much appreciated. The person you need to contact is Edinburgh-based astrologer Mark Cullen, former Chair of the Edinburgh Astrology Group. He is very well versed in mundane astrology, much more so than I am, and has a particular interest in viewing contemporary Scotland through the lens of astrology. I don’t have his email address to hand, but putting the info I have given you into google will find him for you!